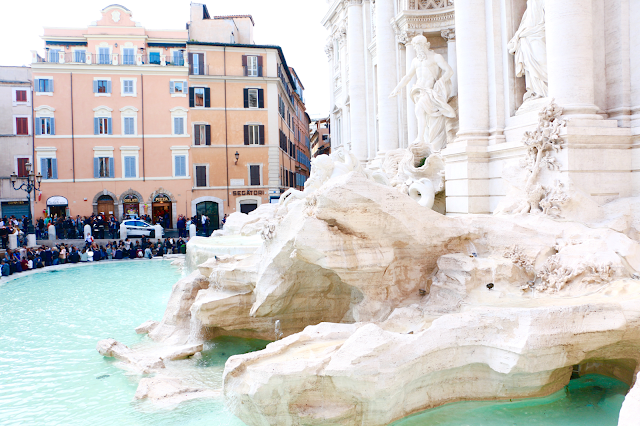 4 Places To Visit In Rome From The Lizzie McGuire Movie! I've always been more of a TV girl then a movie girl, but with that being said there are exactly five movies that I can binge watch over and over, share quotes from to no end, and all in all never get sick of watching. One of which I saw for the first time in a movie theatre with my parents back in 2003, and my life has never been same since that night. The movie of course is none other than The Lizzie McGuire Movie. This is literally the quintessential early 2000s teen movie. 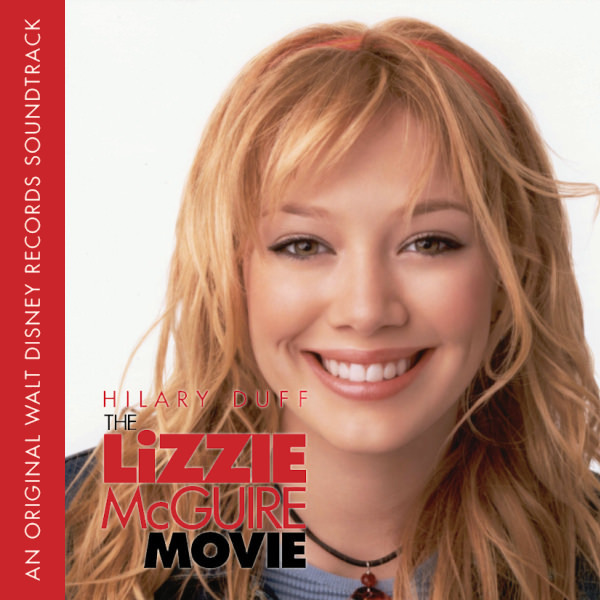 It has a killer soundtrack, Lizzie sports some rockin' outfits that are very reminiscent of the trends at the time, and most importantly, it has a magical plot (although it is a little bit unbelievable that Lizzie was fresh out of 8th grade when the movie takes place). And did I mention that the majority of the movie is set in ROME?! From the first time that I saw it as a little girl, I knew that I had to visit this magical city someday. *The Trevi Fountain - Where Lizzie and Gordo make wishes for the rest of their class trip, and the place that Lizzie spots Paolo for the first time. 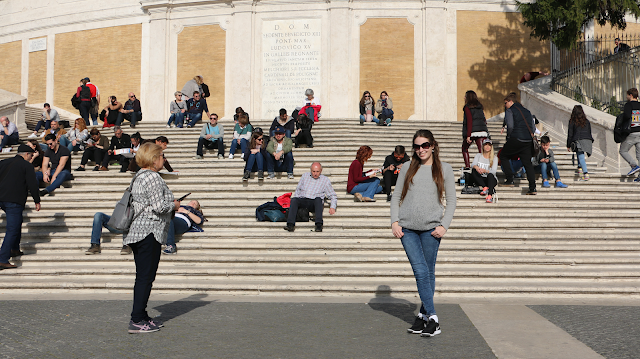 *The Spanish Steps - Where Lizzie emerges after her makeover with Paolo's stylist. *The Tivoli Gardens - Where Lizzie and Paolo rehearse for the International Video Music Awards. *The Coliseum - The site of the International Video Music Awards! I'm so excited to share that my mom and I were amazingly able to visit THREE out of these four places!! I want to share with y'all about my visit experiences at all of them, and how you can make it happen if you travel to Rome. Because getting to go visit these places in real life really is "What Dreams Are Made Of" after all! *The Lizzie McGuire Movie Stop #1 - The Trevi Fountain: The Trevi Fountain is shown in one of the earlier parts of the movie. 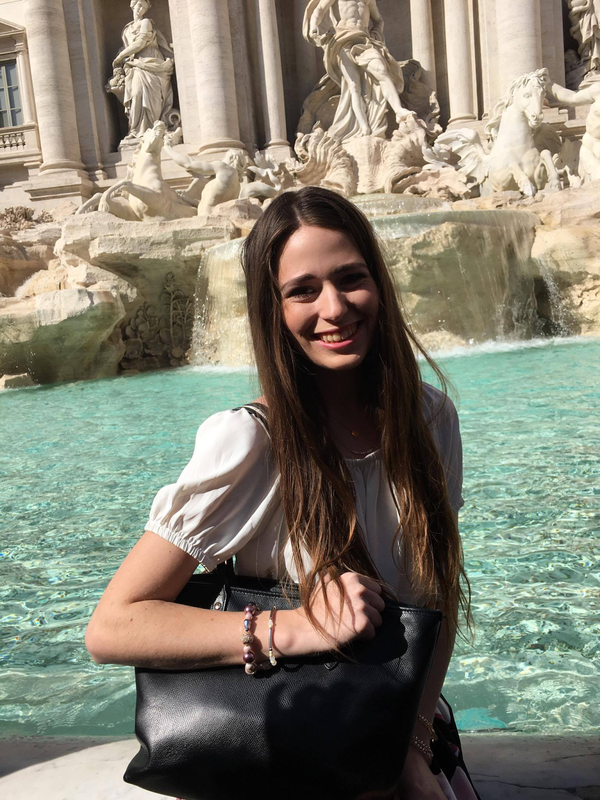 It's one of the first places where Lizzie and her class visit on their tour of Rome, and she of course partakes in the tradition of making a wish on a coin and throwing it into the fountain. 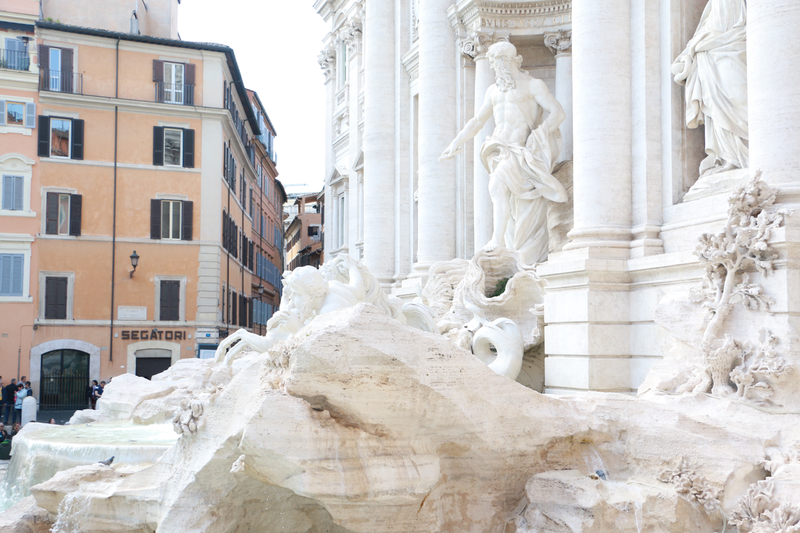 The Trevi Fountain is located right in the heart of Rome. It was about a 20 minute walk from our hotel (which was located near Villa Borghese Park). The walk was very pleasant, and we passed a lot of beautiful buildings and lovely shops and restaurants on the way there. The Fountain itself is located amongst a maze of tiny streets and alleyways, a little bit off of the main city streets. I had a limited international data plan for our trip and was trying not to use it the day that we went to see the Trevi Fountain, so it was a little bit harder to find at first, but we eventually made our way! We went on a free afternoon that we had on our tour, I was amazed at how many people were there! March is technically before Rome's tourist season begins, and the fountain was absolutely PACKED. It made me wonder how they were able to film the movie and at what time of year they did it since it didn't look nearly as packed in those scenes. Anyways, I can be a bit claustrophobic in large crowd situations, but I was able to calm my nerves and wait my turn to get up to the fountain to still get my picture and throw my coin in for my "Lizzie" moment. I did have to wait while for my chance to get right up to the fountain for a picture without the huge crowds in it, but it was so worth it! And true story: I did cry a little bit when we finally founded the corner and I saw it in person for the first time... no shame! *The Lizzie McGuire Movie Stop #2 - The Colosseum: This is the setting of the best part of the movie, when Hilary Duff gets to make her musical debut (as both Lizzie McGuire AND Isabella... how bad is it to say that it took me way too many years to realize that both actresses were the same person! Haha) and performs at the International Music Video Awards. So as you can imagine, I was really excited to see the actual Colosseum in real life! Unrelated to the movie, I was also intrigued to see the Colosseum for a different and much more serious reason. 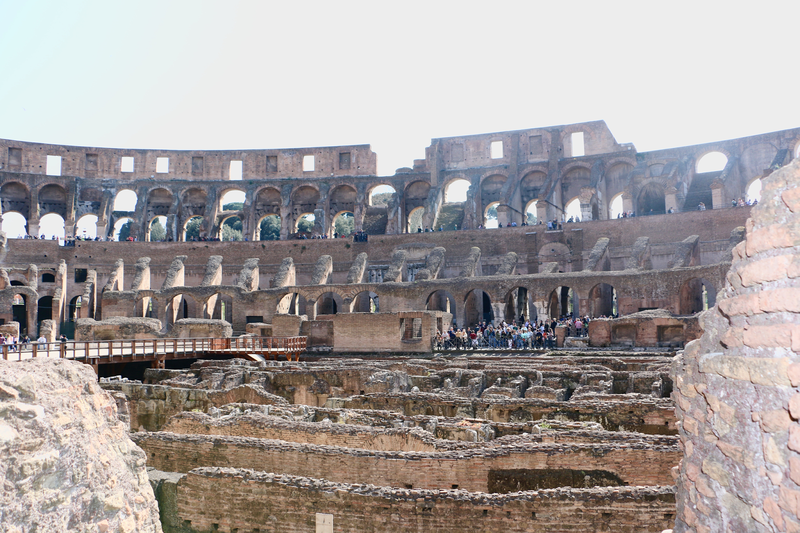 The actual historical significance behind the Colosseum is that back in the days of Roman emperors, one of the main events held there were the public and torturous executions of Christians. My faith is very important to me and I know that I take for granted too often for the fact that I am a US citizen and live in a place where I am free to practice my religion without fear, unlike many other places in the world. It was very humbling to visit a place where so many were once killed just for believing in the same God that I believe in. But anyways, back to the movie! Lizzie and Paolo make their debut as Paolo and Isabella by walking the red carpet outside of the Colosseum, and then they perform during the awards show in the movie. 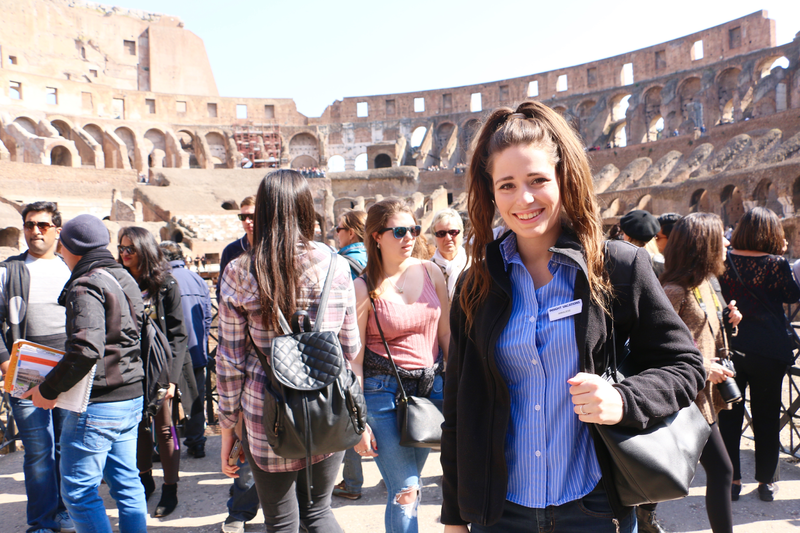 Well, imagine my surprise when I saw the actual inside of the Colosseum! The outside looks just like it does in the movie, but the inside is another story! A lot of the ancient rock formations and chambers are still fully intact from gladiator fight days, so I hate to break it to y'all but there is absolutely no way that a modern awards show could take place here. Boo Disney for lying to all of us innocent children back in the early 2000s! BUT - it was still super cool to visit here, both for the movie reasons and the more historical reflective reasons. We visited the Colosseum as apart of an optional excursion with our tour group. I think however that most major tours that go through Rome cover this as a stop or an optional excursion, and if you're visiting Rome on your own then it isn't too hard to find a day tour trip through your hotel or another tour type agency. 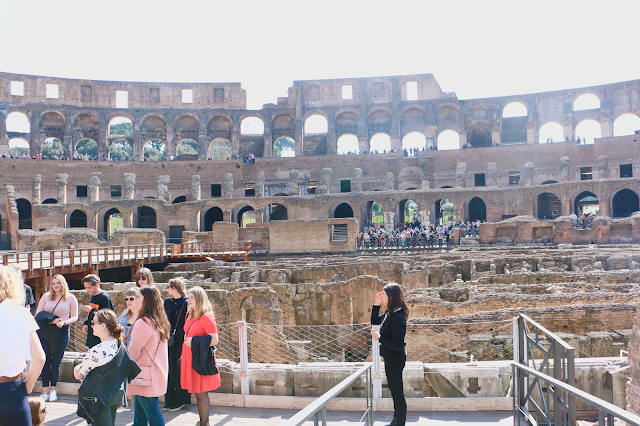 You can also go on your own via taxi or city bus, however the lines were extremely long to get into the Colosseum, and since we went with a tour company it made the process to get in a lot quicker. It also felt safer being in a group with a guide, as pick pockets are a large problem in Rome and they do like to Target popular tourist spots like this one. *The Lizzie McGuire Movie Stop #3 - The Spanish Steps: This is where Lizzie and Paolo emerge after she has her fun appointment with his stylist and picks out her outfit for the Music Awards. She also almost has a narrow run-in with her class and class chaperone, Ms. Ungermeyer, near here as well! 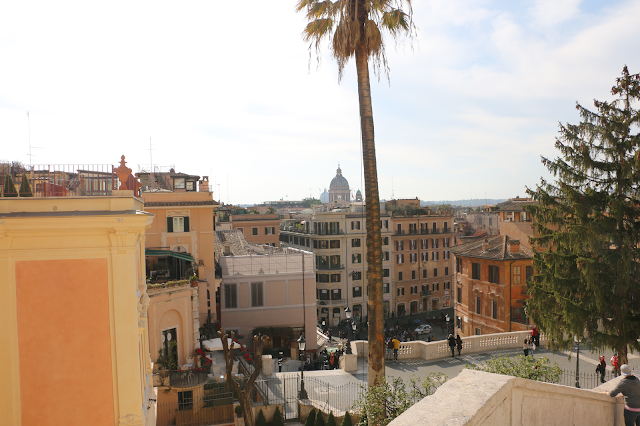 The Spanish Steps really are a beautiful public area centrally located in the heart of Rome. There is a metro station for the Spanish Steps, and many bus routes that let off near here as well (although like with the Trevi Fountain, my mom and I opted to walk there). Also similarly to the Trevi Fountain, it was really busy on the afternoon that we visited the Spanish Steps! That seemed to be a theme in Rome. Even though it wasn't tourist season when we went, Rome doesn't ever seem to slow down, similarly to Las Vegas, one of my other favorite places! Anyways, The Spanish Steps are a really nice place just to have a seat and enjoy the beauty and hustle and bustle of an afternoon in Rome. The architecture on buildings in this neighborhood is just stunning, and some of Rome's premiere designer shopping is located here as well (Chanel, Valentino, Dior, etc). My mom and I stopped for some of the best gelato that we had on the trip after visiting the Spanish Steps and I wish I remembered the name of the cafe! Out of the four spots that I mentioned in this post, the Tivoli Gardens (otherwise known as Villa d'Este), are the hardest to get to, which is why we weren't able to visit. Villa d'Este is designated as a historic spot since its on the grounds of a historic palace, and you do have to buy tickets to visit, similar to the Colosseum. Villa d'Este and the Tivoli Gardens are also about a 50 minute drive (without traffic) from the center of Rome, so it would be a day trip to get there. Our tour company that we visited Italy with offers guided day trip excursions to Villa d'Este during the summer, but since we were in Rome during off-season our tour wasn't offering these trips. My mom and I looked into booking a side day trip with a different day tour company through our hotel, but the ones that they offered were only running twice a week since it was off season, and the days they were running didn't work with our other travel plans. So if you visit in the off season like we did, it might be harder to visit. But I do wish we could have been able to go and see the beautiful gardens and other historic landmarks there, so definitely go if you get the chance when you're in Italy! I hope that you enjoyed my Lizzie McGuire inspired Rome sights travel guide! Soon I'll be sharing a more general travel guide to Rome and some of the other things that we did while there. 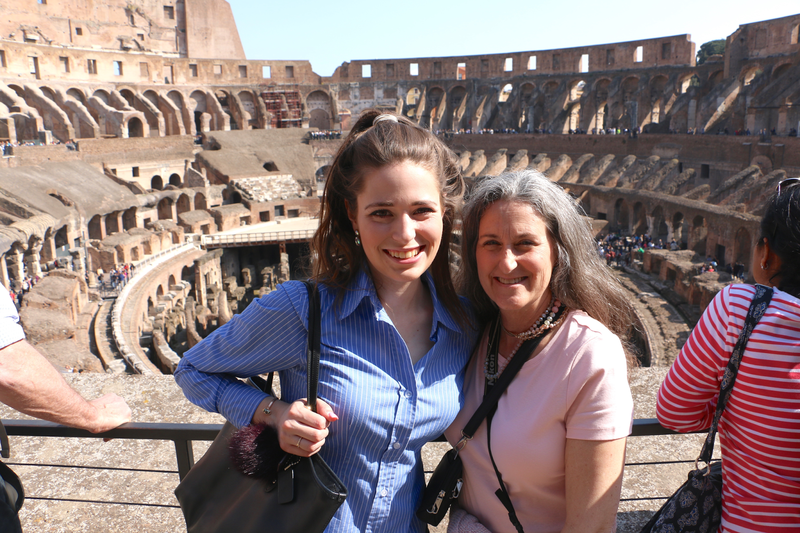 And I also can't wait to recap the other cities that we visited while in Italy - I still have so much to share! What a fun post!! I still love this movie! If I was going to Rome, I would have to check out all of these places (while listening to the soundtrack of course)! I loved this post! 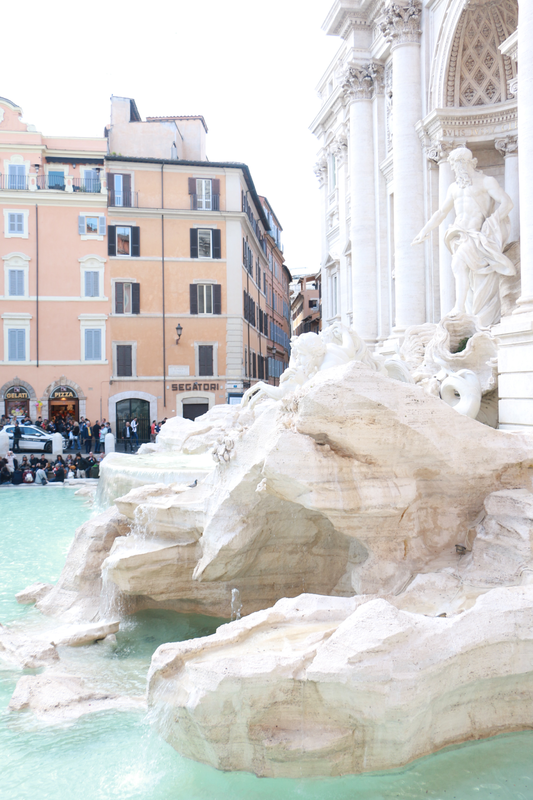 The Lizzie McGuire Movie was what first gave me my travel bug, and when I finally saw the Trevi Fountain it was like I stepped into the movie. So fun to read about your experience. Annaliese, two suggestions for classic Rome movies. Audrey Hepburn and Gregory Peck in "Roman Holiday," with a fascinating view of the media in that period, and an interesting story model for Julia Roberts and Hugh Grant in "Notting Hill." Also, Marcello Mastrioanni and Anita Ekberg in "La Dolce Vita," with an iconic scene in the Trevi fountain. Rome is also captured well in the BBC detective series "Zen" with Rufus Sewell. Flashback!! What an awesome post! I loved the Lizzie movie, I need to put these on my bucket list for sure! Aw I love how you tied the Lizzie McGuire movie to this beautiful city! Love this post! I am DEFINITELY bookmarking this post for the future, just in case I ever go to Italy! The tween in me is dying of happiness right now. Can Netflix PLEASE make a revival to Lizzie McGuire?! haha omg omg omg love!! Thanks for putting this together! I love visiting movie spots when traveling! 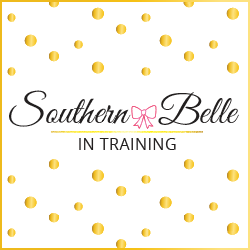 Such a fun post! I remember watching the movie, and it's probably a big reason Rome is on my list haha. I LOVE The Lizzie McGuire Movie, and always wanted to visit Rome after seeing it! HAHA this post literally just made my day! I saw The Lizzie McGuire movie for my birthday in 8th grade, but love Lizzie just as much to this day. It's on Netflix btw! Omg how fun is this! I love how you incorporated it with one of my favorite movies! Oh my goodness, I used to love that movie! The Trevi Fountain is a must! I loved watching that movie when I was younger! How fun to explore the same places shown in the movie! I go to Italy every year with my family and the year after this movie came out, I totally pretended I was living her life in Rome haha! Thanks for sharing, I have a trip planned in December to Italy. Your content will definitely guide me to the best places to visit in Rome. unless your credit card companies get your back on the fraudulent transactions you will find yourself in deep troubles. where you can discover online gatherings, and in addition discourse bunches that really assist you with learning French legitimately. Great casino, well baccarat online you can safely put the top ten, with the new year already playing. At first I didn’t enter the topic as it is not hung with all sorts of bells and whistles I used to, but over time you realize that only good gaming games, bonuses and timely payments are needed in the casino, everything else interferes and distracts.